HUNTSVILLE – Cullman made sure Carver's first ever visit to the AHSAA soccer 6A semifinals would not be memorable. The defending state champion Bearcats set the tone from the start, dominating Carver Friday afternoon by a 5-0 margin. Cullman will play Pelham for the state title Saturday at noon at John Hunt Park. Pelham reached the finals by shutting out Daphne 1-0. "We've grown together as a team," coach Casey Harbin said following the game. "We have been getting a team effort and did so today. We played quickly and it was effective in our game plan." Cullman scored three goals by the 17:00 mark of the first half. Washington Sheffield took a pass from Isaac Rodriguez and drilled it into the net for a 1-0 lead, eight minutes into the game. Miguel Tizapa stayed hot. 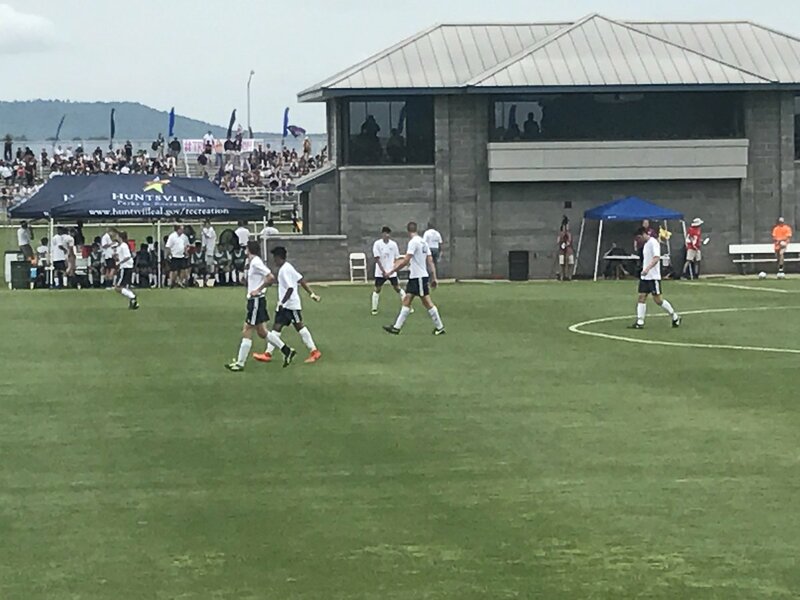 The junior, who was selected to play in the AHSAA all-star game in July, scored two goals in a span of seven minutes to extend the lead to 3-0. Tizapa has scored six goals since the first round. Joel Sanchez took a rebound off a shot attempt by Cole Gerding and drove it in for a goal to make it 4-0 Bearcats. A goal by Tizapa as time expired was not allowed; Cullman was up 4-0 at the break. Rodriguez connected for the only Cullman goal in the second half, getting it with 27:00 remaining. Coach Brown got to play a lot of reserves in the second half. Cullman scored five times on 12 attempts while they dominated play on both sides of the field. Cullman has posted three straight shutouts in the playoffs with great goal work from Jaron Potter and solid defense by Peyton Brown, Zane Manley, Neil Norris, Luis Rodriguez, Luke Andrews, Gerding and Tizapa. Cullman came into the playoffs as the runner up from 6A, Area 14. Now they are on the verge of finishing off a solid run in the postseason on Saturday afternoon in the Rocket City. Copyright 2017 Humble Roots, LLC. All Rights Reserved. Image courtesy of Cullman High School.